In the New York State Museum’s warehouse-sized storage space in Rotterdam, N.Y., the museum keeps Shaker artifacts among its collections, and a double cheese press can rest near a crushed ambulance from 9/11. 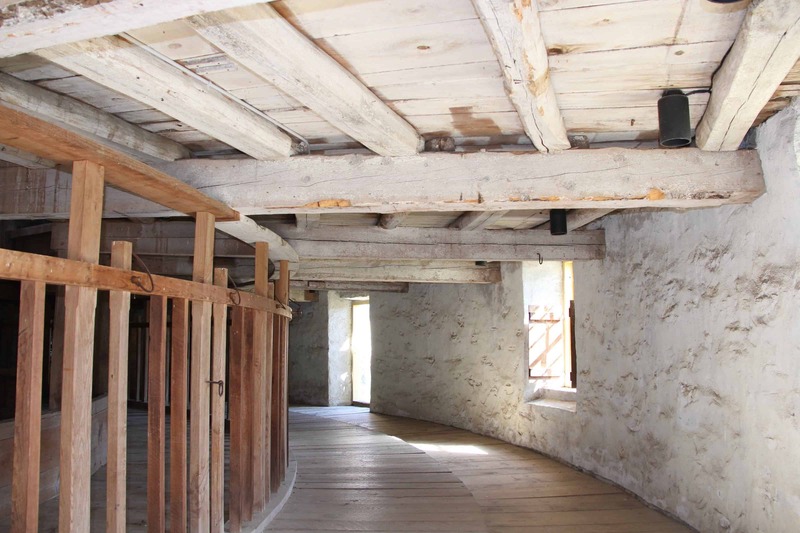 Lesley Herzberg, curator at Hancock Shaker Village, walked through that vast room with colleagues from local Shaker museums, making discoveries. The team has spent three years shaping the museum’s first Shaker exhibit in 14 years, on a grand scale. “The Shakers: America’s Quiet Revolutionaries” is coming into the last stretch of its run at the New York State Museum in Albany, in partnership with Hancock Shaker Village in Pittsfield, The Shaker Museum/Mount Lebanon in New Lebanon, N.Y., the Shaker Heritage Society in Watervliet and the New York State Library and State Archives. The Shakers became revolutionary in many of the things they did, Herzberg said: Equality, pacifism, sustainability, faith, stewardship of the land, even mass marketing. The first three Shaker settlements took root in the Hudson Valley. Here, for the first time, artifacts from all three local sites — Watervliet, Mount Lebanon and Hancock — have been united in one show. A hub of objects will display Shaker design, functional and beautiful in its simplicity, she said — in furniture, a wheelbarrow or a pair of crutches. 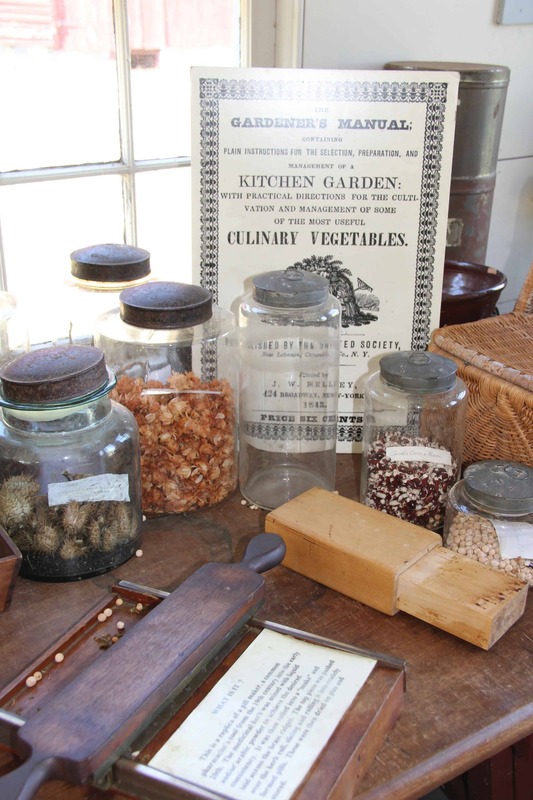 From there, spokes lead to less well-known elements of Shaker life. The curators want to show the Shakers as people. They begin with Mother Anne Lee, who founded the movement. The ship carrying the first Shakers landed in New York Harbor on Aug. 5, 1774, Herzberg said. Mother Anne Lee had lost four children before she left Manchester, England, for the new world. The “Testimonies of Mother Anne” collects eye-witness accounts in 1812 from people who knew her, Grant said. She suffered beatings, and she was jailed in downtown Albany. “She was chased by mobs out of many a village and town,” Herzberg said. In the early days, her followers were questioned, tied to trees and whipped. They were British and pacifist, and as the American Revolution brewed the colonists accused them of spying. Moving upstate, the Shakers leased a stretch of sand dunes and swamps along Shaker Creek, D’Angelo, said. From journal entries 150 years ago, she knows the Shakers brought in wagon-loads of fill and adapted the land slowly to farm it. How did they succeed as long as they did, asked Lisa Seymour, research and collections technician at the New York State Museum, who put together the curatorial team — what about their lives appealed to the people who joined them? For women, she said, the life had a lot to offer: Leadership, a share in managing the world beyond one household, a chance to run a shop or act as a trustee. A New York woman in the 1700s and 1800s had six children on average. A Shaker woman would have a community to share the work and to care for her. Shaker women could have lasting influence, like Mother Lucy Wright, one of the most powerful women in the country in her day, D’Angelo believes. She influenced the shape of their worship and the dance that gave them their name — and a worship service could be heard miles away. A meetinghouse would be loud and raucous with singing and shouting, Herzberg agreed. Along with the movement, the noise and the music, the curators identified an unique kind of quiet. The Shakers held to their beliefs through 250 years, Grant said. He found in them a singleness of heart, a simplicity protected from distractions, and a strong sense of union. They had rules and strictures guiding how much clothing they had, what color they painted the buildings. Seymour described a practical and scientific turn of mind. The Shakers promised to teach children left with them a skill in the area where they had talent, and their schools evolved to be so well-known that local children would come to them too, to learn geography, astronomy and other fields beyond the daily skills. Young children worked as well as read. They might help to do laundry for 100 people at once, D’Angelo said — many Shaker sisters would have gathered around the washing machine from Mount Lebanon that appears in the show with a laundry stove from Hancock Shaker Village used to heat irons. Journals document weeks of making candles and cutting wood for heat, Seymour said. The show has gathered tools, textiles and goods the Shakers made for sale, and they fill a wall — brooms, seed packets, cloaks, dolls, yarn swifts. But more than the oval boxes, Herzberg hopes people will remember voices like Elder Frederick Evans, who argued fervently for clean and healthy living, vegetarianism and clean air — and ideals. Under leaders like him, the Shakers sent supplies to New York City after epidemics and fires. Living in quiet and close communities, they influenced the world. In the photo at the top by Susan Geller, Garden tools catch the light at Hancock Shaker Village. 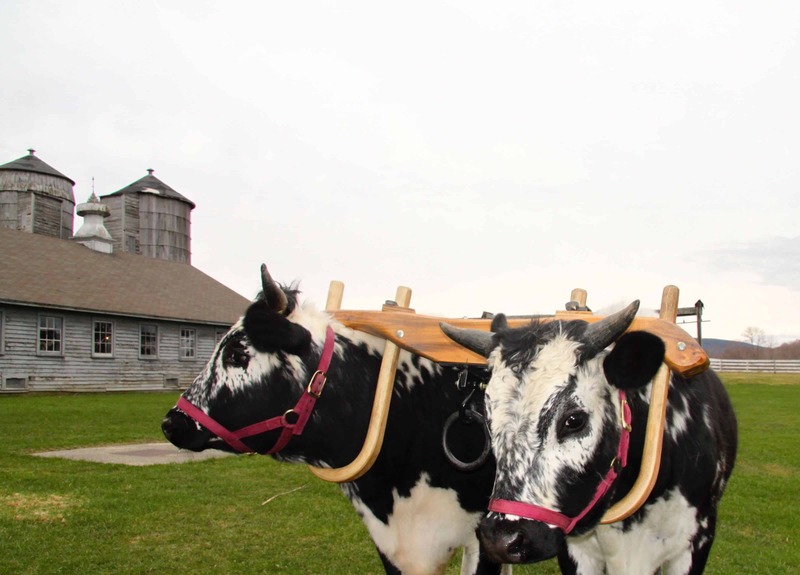 For upcoming events at Hancock Shaker Village this spring, take a look at the BTW Winter / Spring Magazine. Where: New York State Museum, 260 Madison Ave., Albany, N.Y.